“It is unacceptable that the Department and Crossrail Limited are unable to identify the root causes of the programme unravelling so quickly and disastrously,” according to the Public Accounts Committee (PAC) report into delays on Crossrail. Published on April 3, the PAC report also accused both the Department for Transport (DfT) and Crossrail Ltd of having a “unacceptably laissez-faire attitude to costs potentially rising by nearly £3 billion” while concern was also raised regarding the value for money of the project being at risk from further increases and delays. The PAC also accused the DfT and Crossrail of being unwilling to accept their responsibilities for the delays and cost overruns, despite both acknowledging major failures. PAC Chairman Meg Hillier said: “Passengers were led to believe they would be able use new Crossrail services through central London from the end of last year. Instead, they have been badly let down by significant delays and cost overruns. “It is clear that the delivery deadline of December 2018 had been unrealistic for some time. But the Department for Transport, Transport for London and Crossrail Limited continued to put a positive face on the programme long after mounting evidence should have prompted changes. “Wishful thinking is no basis for spending public money and there remain serious risks to delivering this programme, with a revised schedule and costings for completing the work still to be agreed. Some £2.8 billion of extra funding has been provided for Crossrail but even that may not be enough. 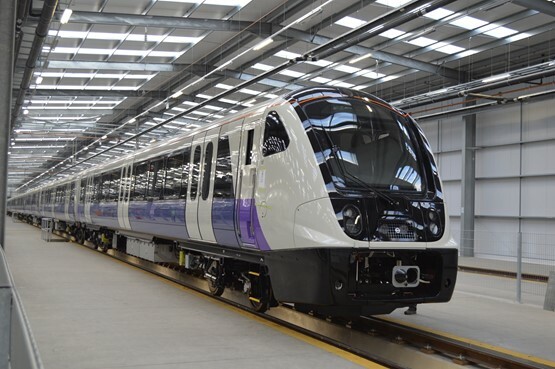 A DfT spokesman told RAIL: “The Department consistently challenged the leadership of Crossrail Ltd, a wholly owned subsidiary of Transport for London, on the delivery of this project. “As soon as the company admitted delay, the Department and TfL acted swiftly to identify lessons, change the leadership of the Crossrail Ltd Board, and strengthen governance and oversight. “It is deeply disappointing that the Public Accounts Committee – which previously described the oversight of Crossrail as a ‘textbook example’ of governance – has not recognised any of the steps that have been taken to ensure delivery of this vital project while protecting taxpayers. Mark Wild, Crossrail chief executive, said: “We take the views of the Public Accounts Committee very seriously and will be reviewing their recommendations carefully. “Since becoming CEO of Crossrail in November last year I have overseen an intensive review of the programme. It is clear that more work is required to complete the infrastructure, the integration of the train, signalling and station systems and to undertake the extensive testing that will be necessary to open a safe and reliable railway. We are making progress in all these areas and, in addition, we have put in place an enhanced governance structure and new leadership team to strengthen the programme.